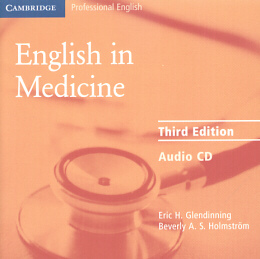 English in Medicine is for doctors, medical students in the clinical phase of their studies and other medical professionals. Who have to use English to communicate with patients and colleagues. It aims to develop speaking and listening skills primarily but also focuses on reading skills. In particular the use of reference materials and journal articles. Practice is also given in writing medical documents.uide provides support and guidance, as well as a full key and tapescripts.through improvisations around the business themes.